Here at Best Web Firms, we pride ourselves for being able to see what your company offers in terms of web design. You also get ranked for the usefulness, aesthetic and capabilities of your website. That means that there are design rules we use as criteria. Pay attention to the user’s needs. You want everyone to be able to browse your site and you want them to be able to do it with ease. So you have to make the colors and buttons that make it easy to see what your website is about, prominent and inviting. Of course, the colors of your website are important, but that is a discussion for our next “Web Design Rules” section. Tell us. 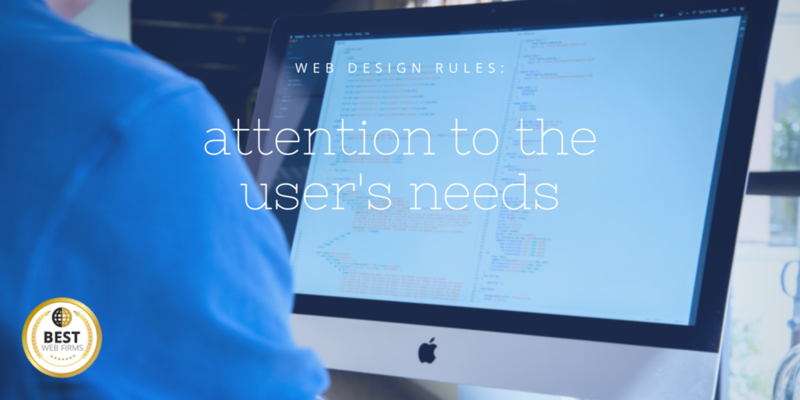 Does your website pay attention to the user’s needs? How do you manage to see what the user’s needs are?